After adding a big chunk of power in January, we slipped our street car into a new class (TT2) and got to go head to head with the most competitive class of the event. 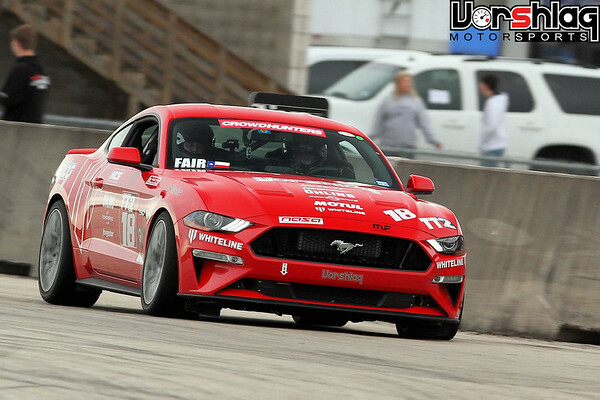 Testing at MSR-Houston on both 200TW tires (RE-71R) and Race tires (Hoosier R7s) was done between the two days of this competition weekend. After that event we got busy and installed the PP2 splitter (a lot more parts than we thought! ), looking for a little more front downforce. 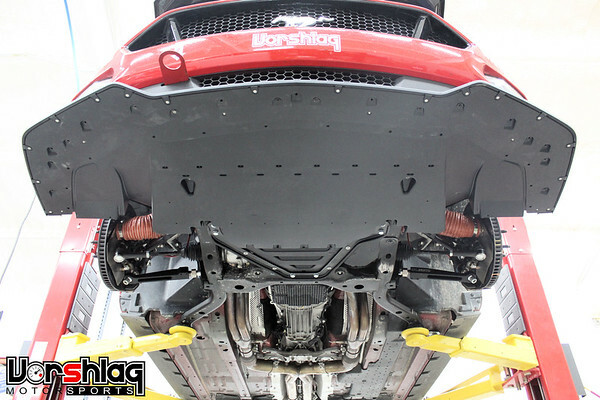 Then a full suite of SPL Parts front control arms went on, we reconfigured our brake cooling, added an Anderson Composites carbon fiber hood, and larger case Magnaflow mufflers to cut the noise down – after the ARH long tube headers raised things up a few decibels. The long awaited rear gearing upgrade was completed! 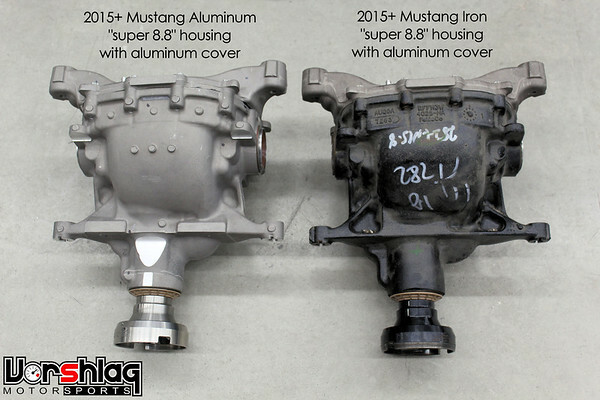 We picked 4.09:1 gearing based off of a detailed gearing analysis, installed a prototype Auburn Pro limited slip differential all into a lighter aluminum Super 8.8″ housing. This went in with a new axle (CV boot was cracked) and made for a big change in on track and autocross acceleration,which worked better with the MT82-D4 transmission gearing. 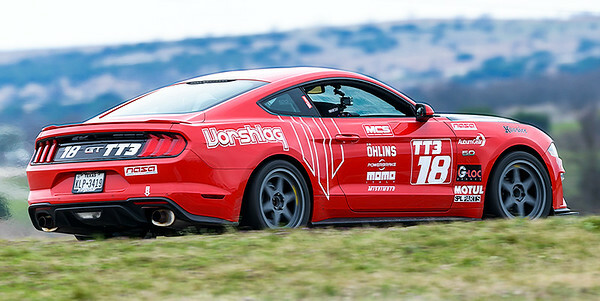 There was a bit of a detour talking about the new S550 15″ 6 piston Brembo upgrade kit we are offering. Might make a good Tax Refund track safety investment? 🙂 Lastly we hint at a classing change before our next track event in May (TT3), but we don’t stay there long. Lots to read about this time, starting here.